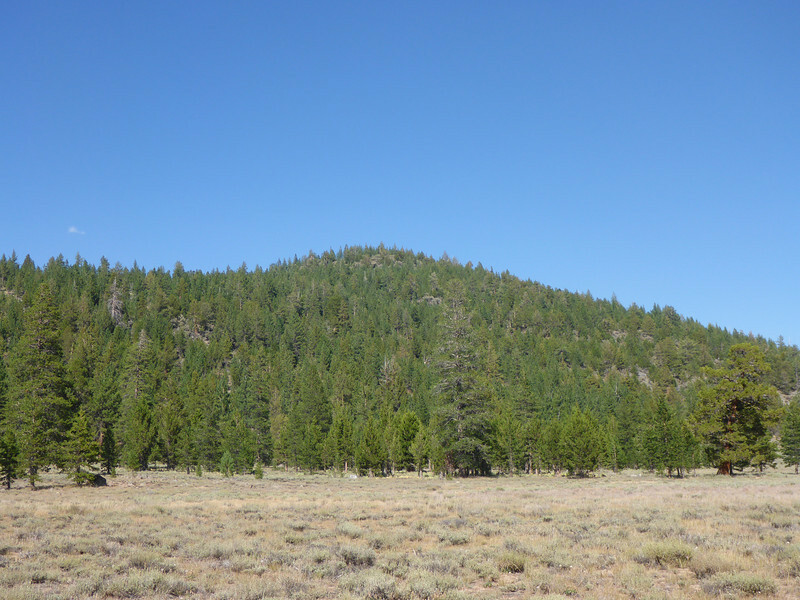 Land Peak in Tahoe National Forest as seen from the large meadow to its southwest along Trosi Canyon Road. There is no trail, reaching the summit requires is a cross-country hike up through the logging slash on its slopes. Brush is either a non-issue or a real big issue depending on the route you choose. Read on for more info on that.